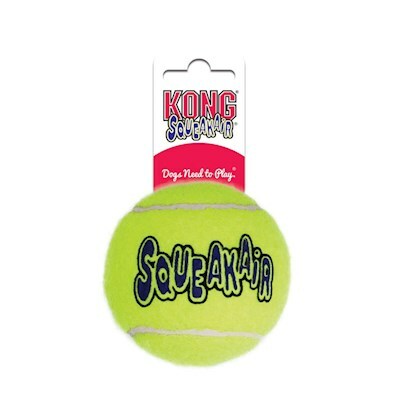 Tennis is all about the back and forth, and the Kong Air Dog Squeaker Tennis Ball is no different. This toy brings together two classic toys: tennis ball with the squeaker (a playful noise dogs know and love!). It is made from 100% pure non-abrasive materials and boasts a clean, finished look that will encourage you and your pet to exercise and play.